Textual harassment is on the rise, according to The National Law Journal. Although the U.S. Equal Employment Opportunity Commission (EEOC) says it has no statistics tracking the prevalence of textual harassment, it advises employers to treat it as it would any form of harassment—through clear anti-harassment policies and swift action. Everyone should be aware of company rules, but don’t forget you manners once you leave work either. A commonly overlooked form of textual harassment is sending unsolicited texts to friends and colleagues without their permission. You should always confirm verbally (call them first) that it is OK to send texts. Don’t assume that since you prefer text messages that the person you are sending to also prefers text messages. An even bigger taboo is sending texts to a person without a “Texting Plan”, so don’t assume that since you have unlimited texting, everyone else has the same cell phone plan. I can tell you from firsthand experience, I DON’T HAVE A TEXTING PLAN ATTACHED TO MY CELL PHONE AND EACH TEXT I RECEIVE COSTS AN EXTRA $0.20-$0.50. It doesn’t sound like a lot, but 10 simple messages costs an extra $2.00. Still, $2.00 doesn’t break my bank but when AT&T sends me an additional text message to inform me I have exceeded $50.00 in a single month and suggesting I add a Texting Plan to me account, I get a little irritated. Don’t get me wrong, I don’t have anything against Text Messages. I can clearly see their usefulness. I’m simply pointing out that I don’t have Text messages included in my cell phone plan. All AT&T customers with text messaging-capable phones are pre-activated to send and receive messages at $0.20 per message with no monthly charge. 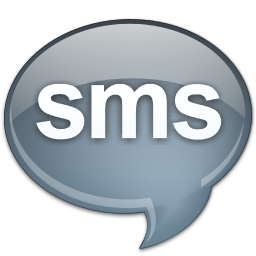 Or, you can sign up for a more economical text messaging package, go to the Manage Features page in myAT&T. 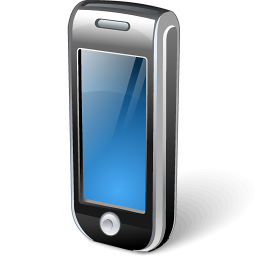 International text messages are $0.25 per message sent from the United States and $0.50 per message sent if you are outside the United States. Cell phone harassment is illegal in all 50 U.S. states. Not only is it annoying, but unwanted texts also may add extra costs and burn up the minutes available in a cell phone plan, resulting in lost calling time and wasted money. Most states define telephone harassment as an obscene communication or any verbal or text message threatening physical harm. But the person receiving the text is the one who ultimately determines what harassment is and what is not. Where your ads can appear and who might see them based on your targeting methods.